Reigning world champion Lewis Hamilton won the 2019 Chinese Grand Prix ahead of teammate Valtteri Bottas. 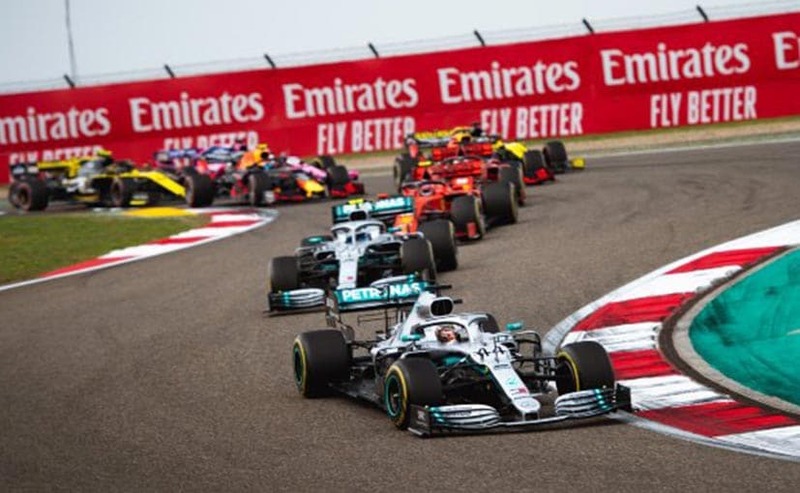 The Chinese GP marks the 1000th Formula 1 race and saw the Mercedes drivers dominate the weekend, as the Ferrari drivers faded as the race progressed. Coming in a lonely third was Ferrari's Sebastian Vettel who completed the race 13.744s behind the race leader, while Max Verstappen of Red Bull was a.distant fourth. 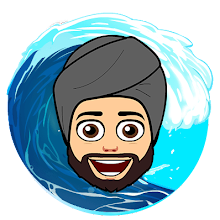 This is the Mercedes' second consecutive 1-2 race finish this season, and Ferrari's second consecutive podium finish too. Hamilton led the race right from the opening lap after a strong getaway allowed him to pass teammate Bottas at Turn 1. Meanwhile, Charles Leclerc of Ferrari started with fourth but managed to pass Vettel to claim third place in the opening stages. 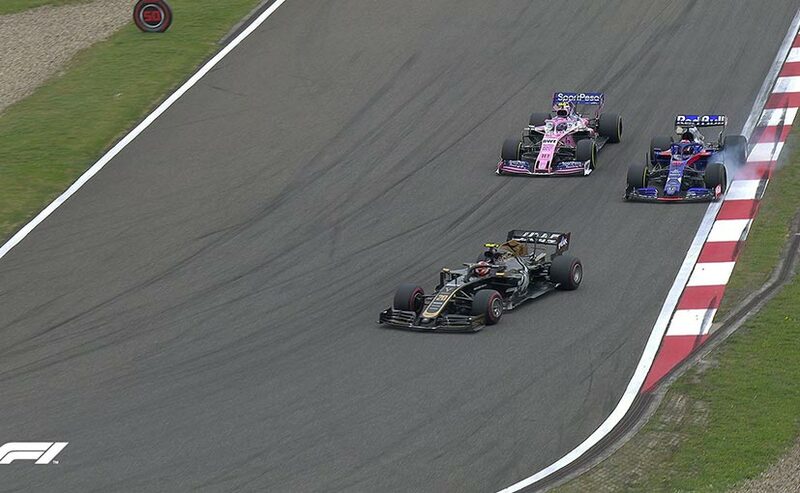 The opening lap saw the virtual safety car (VSC) being deployed as Torro Rosso's Daniil Kvyat slid and bounced to crash into Carlos Sainz and Land Norrris' respective McLarens. The incident sent Norris airborne, while handing Kvyat a drive through penalty. As the track was fit to race again, Hamilton surged forward ahead of Bottas, while Vettel was building momentum to pass Leclerc. As the new Ferrari driver was struggling to find pace, team orders instructed him to give way to Vettel who was back in P3 by Lap 11. The push though hardly made a dent in the Ferrari driver catching up to the W10s that clearly boasted of better pace than the rest of the grid. As the top two positions seemed confirmed, it was now P3 that was worth fighting for. Red Bull driver Max Verstappen did attempt to best the Ferraris as he pit to switch to hard tyres on Lap 18. The move saw Vettel also pitting for a new set of hard tyres and barely managed to stay ahead of Verstappen. 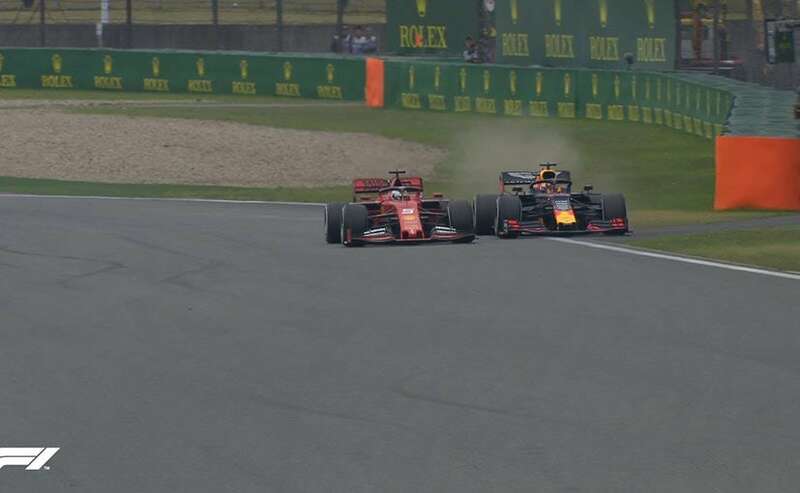 The Red Bull driver made a DRS-assisted pass on the back straight and moved up to P4, but Vettel reclaimed the spot after edging the former onto the grass. Leclerc pitted five laps after his teammate and joined back in fifth place, nearly 11s off Verstappen. Mercedes called in Bottas to pit first on Lap 22 for a set of hards, with the Brit driver coming in for the fresh set of rubber a lap later. By Lap 27, Bottas had a number of fast laps to his name that concerned Hamilton who wanted to pick up that extra point. On Lap 36, Red Bull prompted Verstappen to come to the pits for a new set of medium tyres, which was followed by a second set of pits for the frontrunners. Vettel followed suit soon after Max and both the Mercedes were in too a few laps later, switching to medium tyres. The switch made for small battle between Bottas and Leclerc for P2 as the former joined back in third place. However, Bottas with the help of DRS assist on Turn 14 reclaimed the position. Ferrari asked Leclerc to put on Lap 42 for mediums and the driver was slow of the box only to join back in fifth place behind Verstappen. A gearbox issue in the final stages meant he wasn't able to better his time and remained a distant fifth till the chequered flag. Coming in sixth was Red Bull's Pierre Gasly who despite a strong start could not build the pace as the top runners. Nevertheless, Gasly emerged as the unpredictable recipient of the fastest lap time point as he managed to set a new record with two laps left and secured the bonus point. Renault's Daniel Ricciardo picked up the first points for the team this season completing the race in seventh place in a single pit stop strategy, while teammate Nico Hulkenberg was the first retirement of the race on Lap 17. Racing Point's Sergio Perez was one of the strong performers during the race after starting in 12th place, and moved up to P8 on the opening lap. The driver held on to the position as Alfa Romeo's Kimi Raikkonen claimed ninth, after brief fight against Haas drivers Kevin Magnussen and Romain Grosjean. Making his points debut was Alex Albon of Torro Rosso finishing in tenth place, with Grosjean taking 11th. Lance Stroll of Racing Point finished 12th ahead of Magnussen and McLaren's Carlos Sainz Jr. Alfa Romeo driver Antonio Giovinazzi finished 16th, with Williams' George Russell and Robert Kubica the last of the drivers to complete the race. As for DNFs, joining Norris was Hulkenberg, while Kvyat retired on Lap 43.